FairCoin is a decentralized cryptocurrency adopted and mainly used by the FairCoop Ecosystem. Its aim is to be a is a powerful tool for the Ecosystem by providing independence from central banks, financial institutions, and governments due to its inherent technology. Compared to other cryptocurrencies, such as Bitcoin, its value is stable and frequently adjusted from the community by consensus. FairCoin is not just means of exchange for global and local communities with etical values and principles but a key tool on which FairCoop base the entire economic system. FairCoin is based on an innovative blockchain technology, which has been changed in July 2017 from a mixed Proof-of-Work and Proof-of-Stake protocol to a Proof of Cooperation Algorithm (PoC) (PoC) mechanism. Due to those improvements, FairCoin not only requires significantly less energy, enables faster transactions and provides a more secure network than other blockchain-based currencies but also introduces a certain level of trust and democratic values on both the human and the technical level. It has been built with a clear value set in mind to bridge economic gaps on a regional and global level. Salary and income: If you are self-employed worker you can offer your digital and non-digital services and products for FairCoin through the FairCoop legal tool Freedom Coop (link is external). You can also offer your products and services for Faircoins to the online world. For this, use our FairMarket (link is external) as an online market plattform. Substitute for a bank account: FairCoin as part of the FairCoop ecosystem supports independence from authorities, banks, and state interference. Therefore a FairCoin wallet can be especially useful for refugees without official documentation, who have difficulties in obtaining a bank account, or for people who wish to minimize their activities inside the current economic system. Please take a look at the alternative banking services of Freedomcoop (link is external). Personal savings: FairCoins can also be used as a store of value and therefore as personal savings. By doing so savers support the FairCoin and FairCoop ecosystem to raise and stabilize the price at a higher level and make our economic impact stronger. Send & exchange FairCoins worldwide: With FairCoin you can send money quickly and cheaply around the world to any individual who is running their own FairCoin wallet. If the recipient has a Local Node close by it's even possible to exchange easily to other local/social currencies and fiat currencies. If the recipient has a FairCoin Mobile wallet installed, s/he can receive FairCoins on the way and convert them with the tool FairToEarth to Euro at 10.000 ATMs in Spain and to Zloty at 4000 ATMs in Poland through the Halcash system. Additionally, it can be used in 70,000 stores and 10,000 ATMs for cashing out through the Telepay network in Mexico. Local economic networks: The local economy is crucial in closing the economic circle and has a real use case for the people to pay for products and services in their everyday life without the necessity of converting to other currencies. Therefore local street markets and cooperatives (especially integral cooperatives) who widely accept FairCoin will be important for the independent and self-managed lives of individuals and communities. Donations to supporters: Donations can be send directly to Culture/Science/Food/Energy/Education/Solidarity projects who accept FairCoin as currency. Therefore they can build liquidity to support them and make those projects happen. You can find them here in our UseFaircoin website. Donations to FairCoop Funds: You can donate FairCoins to the various FairCoop Funds (link is external) whose redistribution to different projects will be decided by the FairCoop community. Festivals & Workshops: If you want to organize a festival which is in line with FairCoop principles you could let people use FairCoin for ticket payment and for products and services offered during the festival. The Fairpay POS (point of sale), FairToEarth and cards are the appropiate tool for this. If you run a workshop or course, which is related to the alternative economy, alternative education, integral cooperativism or similar topics you could also accept FairCoins as allowance or donations from your participants. Our intention is to be “Fair in name, fair in practice”. FairCoop uses Faircoin as its social capital and store of value. FairCoop is Faircoin’s “conscience” – it’s a cryptocurrency attached to Commons-oriented responsibility. FairCoop already holds 20% of all Faircoins in existence, which guarantees that the growth of the currency’s value will go to the common good. This is guaranteed by FairCoop’s democratic accountability system. How can cryptocurrencies alleviate economic injustice and promote social good? Up until now, cryptocurrencies have held great potential, but which hasn’t always coincided with a practicality that would alleviate those ills. Certain elements such as bypassing the need for central banks are steps along the way, but there was something missing. A holistic social and economic system is urgently needed to address the inequalites inherent in the current system. How is Faircoin different to Bitcoin? For one thing, Faircoin is technically different, in the currency generation protocol used. Faircoin uses Proof of Stake (POS) instead of Proof of Work (POW). The use of POS prevents any unfair advantage which could be afforded to those who can access and invest in the environmentally destructive means of mining (destructive for its consumption of energy and resources needed for the servers). What really makes Faircoin different is its specific use as a tool for Fair.Coop, as a cryptocurrency designed to act as store of value for Fair.Coop and its redistribution of capital to socially and environmentally coherent projects. Is Faircoin your model of how a currency could be useful for a fair economy? No. Faircoin is not a monetary model from the Fair.Coop point of view, but a tool – one among others – that we want to make use of in the transition process of creating social change and building a new economic system. As a tool, it is intended to be useful for redistributing social capital between projects that aim to create change. Another of its functions as a tool is as an element to begin creating independent, economical, transnational relations outside the control of the old banking system. The model that we envision will go far beyond this, but as of now we are still far from it, and Faircoin is one useful tool to get there. Why choose to take advantage of an existing cryptocurrency such as Faircoin? For a cryptocurrency to be accepted in cryptocurrency markets, and be able to be bought and sold–for example, exchanging it for Bitcoins–it must have a clean launch, which is to say it must have been previously published so that all can participate. Another much-valued aspect is that the initiators of the cryptocurrency do not retain a significant portion of the cryptocurrency, or else it would be considered a scam. If we were to distribute the cryptocurrency from the outset among the collectives that filled out a form and met certain criteria, it might seem quite fair outside the cryptocurrency community, but inside we could easily find ourselves up against boycotts and complaints for having distributed it among our colleagues, using political criteria, etc. If, to avoid this situation, we were to allow a large percentage to be distributed by conventional criteria (mining it for several days, with a random list anyone can sign up for, etc. ), we’d end up with minorities from the North making personal profits from our project, in a framework of speculation (because of the project we would be presenting). This could increase the value of what we defend more quickly, leading to price drops which would create confusion, etc. By contrast, if we took advantage of a cryptocurrency that had already been created, had already been through this initial speculative phase, was currently devalued and on its way to being abandoned (Faircoin was ranked at number 200 with a total value of 50,000 dollars; that is, 1% of all coins could be bought with 500 dollars), it would be very easy for us to obtain an important share by means that are completely accepted by the cryptocommunity: buying it on the market for next to nothing. This way, we were able to create a very advantageous situation for our project without having to assume the delicate responsibility of creating and distributing the cryptocurrency from the beginning. Besides, it shouldn’t be difficult to ensure that once the dissemination of the project has begun and it is generating the ability to purchase and accumulate the currency, we can bring about a general trend toward a rising value of Faircoin, boosting the credibility of the project. Who are we buying Faircoins from? At the moment most of the offers of faircoins for sale come from private investors or supporters who had previously bought faircoins. Also, there are still some that come from individuals that filled from the first distribution, but most of them, in fact, already sold off in the first weeks and months. Once FairMarket is launched, those shops which are paid in Faircoin will have offers of faircoins for sale. Furthermore, when those projects that receive Faircoin donations are eligible to spend them, it will be possible to buy Faircoin from them as well. How did the initial distribution of Faircoin take place? 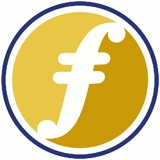 March 6th 2014 – Faircoin created by an anonymous developer. April 23rd 2014 (approx.) – Faircoin abandoned by its anonymous developer. May 6th 2014 (approx.) – Faircoin taken over by the community. Enric Duran was among the people involved in the takeover. Because the creator of the second ANN was not really involved and this made good communication inefficient, we decided to close the second ANN at the same time of the First hard fork, and we created this third ANN only accessible by the current FairCoin Development Team. What are the technical specifications of the Faircoin? As for security, there is a POW block every 5 minutes, and a POS block every 10 minutes. These two methods were combined to provide the best of each in securing the system. Money Supply of 50,000,000 coins mined in the first block and initially spread to all who applied for it, so that not only those with capital or mining resources could have access. What is ‘Proof of Stake’ mining? Proof-of-Work Mining. This is exactly what it sounds like: you earn coin and transaction fee rewards according to the number of blocks you mine successfully. Once a miner or miners have completed the satisfactory mining of a data block, they earn a number of coins, a share of the transaction fees contained within that block, or a combination of the two. This type of mining requires an investor to take an active part in mining data blocks, which helps verify transaction data and create new coins. With proof-of-work mining, if you don’t put in the effort to mine, you won’t earn anything extra. Proof-of-Stake Mining. In the truest sense of the word, this isn’t actually “mining” per se, since there isn’t any additional work required on the part of the investor. All you have to do to earn with this method is to hold coins in a given type of digital currency. Your earnings are based upon the number of coins, or “stake,” you hold. The more you invest, the more you are likely to earn. The advocates of this method like to point out that it provides for higher currency security, for those who invest more heavily are more likely inspired to see it succeed. This method is very rarely used alone as it doesn’t provide for any actual mining to take place. The digital currencies which use the proof-of-stake method almost always use it in combination with proof-of-work mining. Otherwise, the temptation to invest heavily, but not take an active role in mining data blocks, could result in extremely slow mining. This in turn could result in longer transaction times and lower transaction security, neither of which are healthy for an alternative currency. Can I make a profit by investing in Faircoin? Can I make a profit through Fair.Coop? Yes, you can sell higher after buying lower, but the kind of profit that Fair.Coop promotes is through savings. FairSaving is a project promoted by Fair.Coop, where faircoins are saved for at least 6 months. If the price has gone up after this time period, you will make profit; if the price has gone down, you will have a loss. Therefore, the kind of profit that Fair.Coop supports is medium or long term investment, because this kind of profit helps the long term goals of Fair.Coop related to the redistribution of wealth through the Fair.Coop funds. Speculation is a product of freedom, in the sense that there are people that create services, people that buy, people that sell. Therefore, any market that is free enough to build this structure to trade with is subject to the risk of speculation. Cryptocurrencies, as deregulated markets based in freedom, are susceptible to speculation. Put another way, if you value decentralization, you need to be conscious that it is not possible for a decentralized money system to be closed to trading in private markets. You could ask yourself if the Euro or Dollar are speculation. And yes, there are many traders speculating with these fiat currencies; we don’t notice this if we have all our money in the same currency that we use for spending, but when we have money in a currency other than the one most used in our region, we can gain or we can lose value. The percentage level of gains or losses in a market depends upon the volume and liquidity of that market. Therefore, markets with high liquidity, like Euro/Dollar, have low variations of price. In these markets, the way to gain or lose a lot is to invest a lot. Otherwise, in markets with very low volume, the possibility of high percentage gains or losses is greater. Seen from the outside, this creates the impression that cryptocurrencies are about speculation. That said, people willing to buy or sell for short term wins are also doing a some social good in a money market of low liquidity, because they facilitate access (in or out) for the people using that currency for practical uses (like buying or selling goods and services, or helping the value of the currency through long term savings). Therefore, this is still a controversial question in anti- and post-capitalist environments. In fact, a currency like Faircoin needs to have a low volume at the beginning in order to have higher volume and acceptance in the future. Here you can read more about the FairCoin History from its origin until nowadays.